Over the years of being someone with a consistent online presence I’ve experienced plenty of memorable interactions with people from all over the world because of the colorful and controversial articles that I’ve written. Needless to say, whether an individual loves it or hated it there always seemed to be a strong response to it. When all is said and done, this is what you want when you have a blog. One of the worst feelings for one to have when you have a blog that you hope to cultivate into something bigger is to NOT get the participation that is commensurate with the amount of energy invested. For those who have blogs that are more of a personal nature, the lack of general participation is a non issue because it is more of an online diary. Me? I’ll talk about just about anything as it comes to mind. With my blog it is personal yet the content is shared in a very engaging manner. Being the fact that I have never sought out any sponsors to help with the various costs in running it by exchanging funds for advertising, I can pretty much say what I want without the fear of losing out on revenue. Having no fear in my expressions has been a double edge sword because while the content I share may be compelling to some, it pretty much runs the mainstream advertising dollars away because of the brutally honest raw content that you will consistently see on these pages. Yet the following that I have accumulated over the years are some of the most loyal and intelligent individuals that you could ever hope to meet! But while many understand where I’m coming from as far as the content of my blog is concerned, there are those who just don’t get it and have basically complained that the subject matter is just too negative! I’m okay with that assessment and in many cases will probably agree to a point. What I agree with is that a lot of the content does deal with the negative situations in life but what I would like to say is that I look at it more as an instructional guide to the many difficult situations that one may come across in life. A blog that deals with a set of circumstances where one may have to know how to troubleshoot a dire situation because I have been in many a circumstance in this life that most would no know how to deal with. I have tasted death through the loss of my parents and other close loved ones without having the luxury of a shoulder to cry on while having to face those inevitably trying, dark and lonely times alone. I have experienced the intense beauty of childbirth (Don’t laugh! 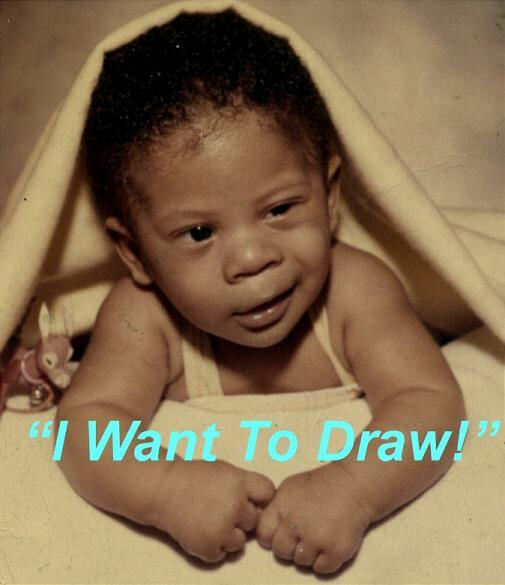 I didn’t push out any babies but have watched my children arrive into this world!) and the “shift” that comes in a man’s total being as he moves into the mode of a Father & provider. The pain of a breakup? I know it well, just in the same manner that I know what it is like to break a heart or two out of the spirit of immaturity. It all goes to making me the person that I am today as we are all the products of the sum total of all of our experiences. There was a point in my life when I really wondered why I had gone through so much but in hindsight I am so gracious and happy to have experienced what I have because the wisdom gained is invaluable! So while living in a world that displays the fact that there is so much pain, strife, confusion and depression in overwhelming amounts, it is literally mandatory that SOMEONE deal with the issues that others seem to sweep under the rug and pray would just go away. I know when I was going through the many unnecessary episodes of “life drama” (Whew! God knows that I don’t want anymore of that!) that have resulted from the bad choices that I’ve made I wish I knew of someone who I could talk to that had the experience to show me the way out and keep it real. But know that I never set out to be “that person” when I started blogging so many years ago. I just found a sane method for venting my own viewpoints but never knew that it would take off the way it did to touch as many as it has. For me, it is a wonderful feeling comparable to having a yard full of items that you thought had no use for anything but discovering that what you thought had no use was the very thing that was sought after by another and appreciated beyond measure. One man’s junk is another man’s treasure? In a way. But my lifetime accumulation of junk experiences have helped so many who have found their treasures in my “yard” of wisdom that I thought at one time in my life was useless. So my pain has been validated and my experiences exalted by my online exposure. This is not about “appearing” to be something that I am not as so many casual bloggers pretend to be in this “easy to deceive” platform of cyber-space. The joy for me is that I can bring in every verifiable faction of my life into the spotlight good and bad and it will still result in the seamless presentation that has been my life all because behind everything that I do I make sure to keep everything real! 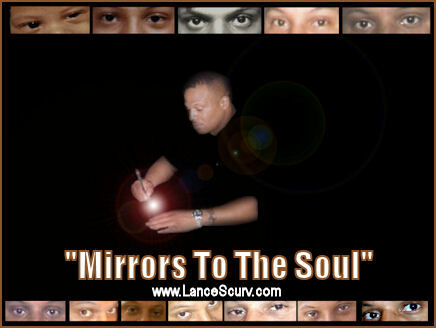 One other aspect of my online experience that I realized was that as I stepped into the arena of hosting an Internet Radio program (The LanceScurv Talk Show) is that it had no choice but to do as well as it has because of the regular co-hosts and friends that have helped me to build it up as far as the overall “feel” is concerned. In my writings I have effortlessly reveal many things about myself that others would not want to share and if they did they would want to “doctor” it up to make it appear to be something other than what it was in the first place, but because I’ve always done otherwise the people who stand by me felt the sincerity in my expressions and that is a quality that I have found to be sadly lacking in today’s online experience. How do you think I can keep up such a grueling schedule and write every single day of my life? It’s because I do not have to even think about what I am going to put down because it is straight from the heart! If you are fake about sharing what you are truly about then you just might find it a little difficult to express a well dressed lie. Me? I say whatever I feel without any restraint and will deal with the fallout afterward. 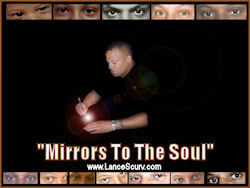 This is what makes me “me” and is the very reason why those who come to the LanceScurv blog arrive here regularly. If you can gain a different insight into a situation that seems to have no way out or merely a laugh from the many comical tales that I have to share then I have done my job and have completed the task happily. So in essence I want to take the time to say to you that this ride has been a joyful one and the interaction with the hundreds and thousands of wonderful people that I have been blessed to meet here in cyberspace has been an unexpected blessing and a plus to my life indeed! …….and because of this to you I am forever thankful. The “junk” in my yard is a treasure after all……. Next : Oftentimes The Stepfather Is Welcomed Into The New Family Only To Unknowingly Clean Up Another Man’s Mess!